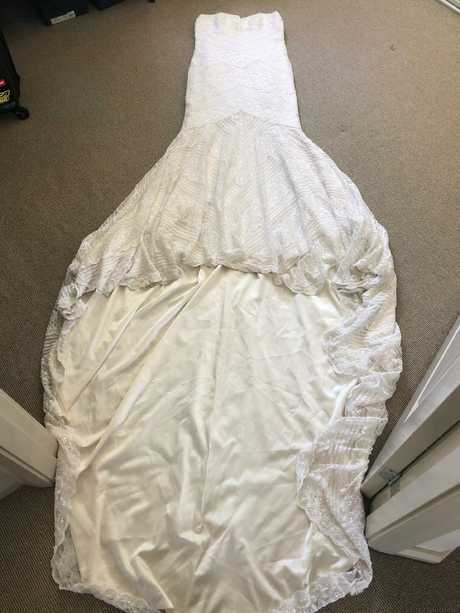 A BRIDE has shared the $15 hack she used to clean her $2000 wedding dress at home - with incredible results. 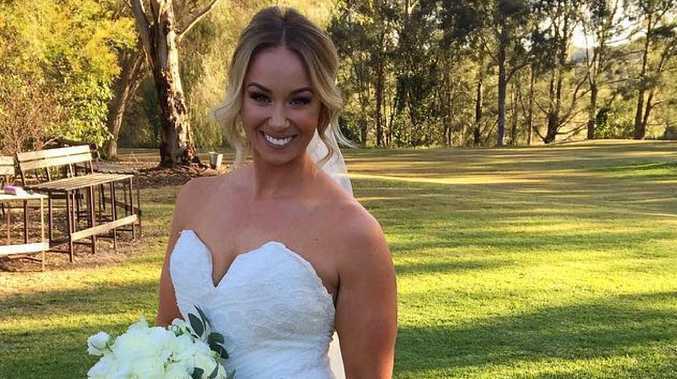 Kate Writer, 27, from Long Jetty, New South Wales, was left with a filthy gown after her beautiful nuptials in September 2017. But after being quoted a "ridiculous" $1000 to have her gown professionally cleaned, she bravely decided to clean it herself in her bathtub. 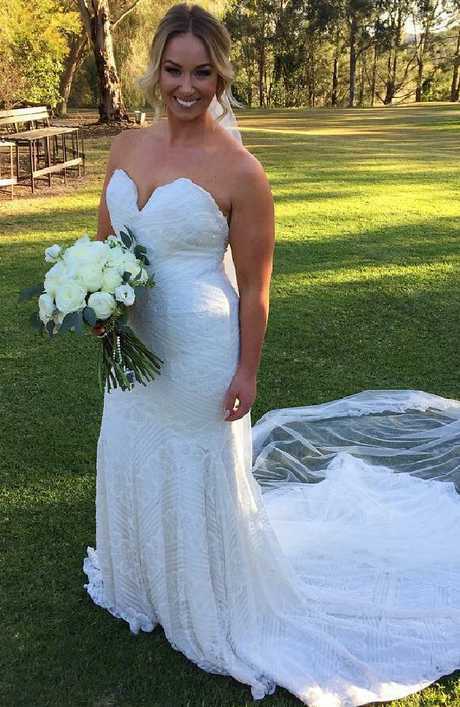 Thankfully Kate had incredible results, sharing the gown's transformation with her 130,000 followers on her Instagram account. "It was so easy and worked amazingly," Kate, from Dedikated Lifestyle, told news.com.au. "And it literally cost $15, I have no regrets." The PE teacher said she "did my research" before embarking on the mission to clean the mucky dress, that had mud and grass caked into the train. 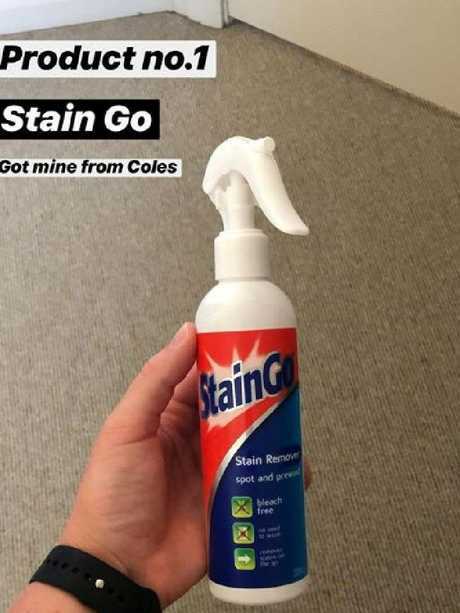 Using Stain Go to target "noticeable stains and marks" such as fake tan and dirt and SARD ultra whitening stain remover powder, she set to work to clean the delicate beaded dress. 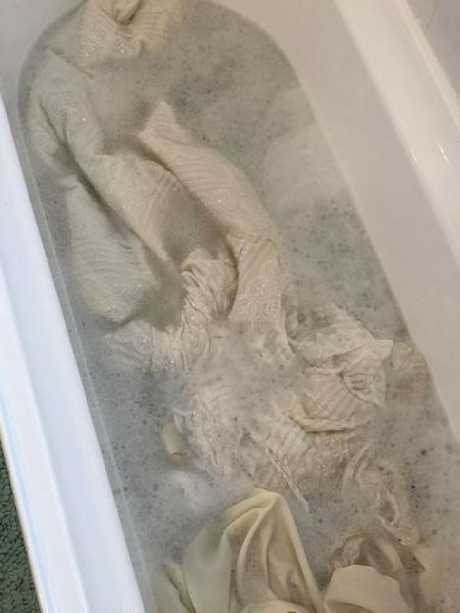 First Kate sprayed any stubborn marks with the Stain Go and then she ran a bath with lukewarm water, adding several scoops of SARD. Then she gently massaged the dress, being careful of its intricate beading. She also used tweezers to pull out shards of grass that had become tangled in the train and left it to soak for 30 minutes. 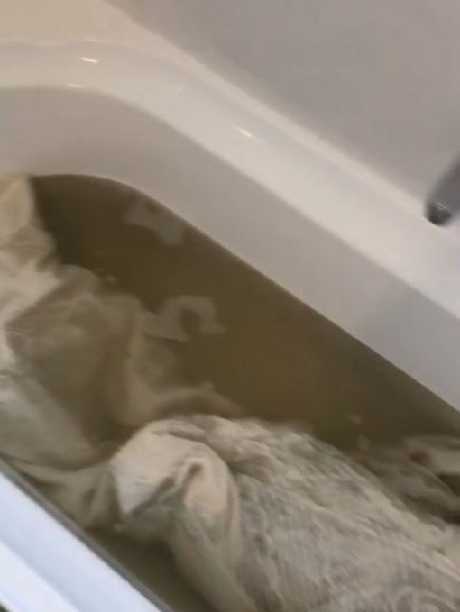 "The water is pretty gross, but look how much has come out," she said in a video shared to her Instagram. 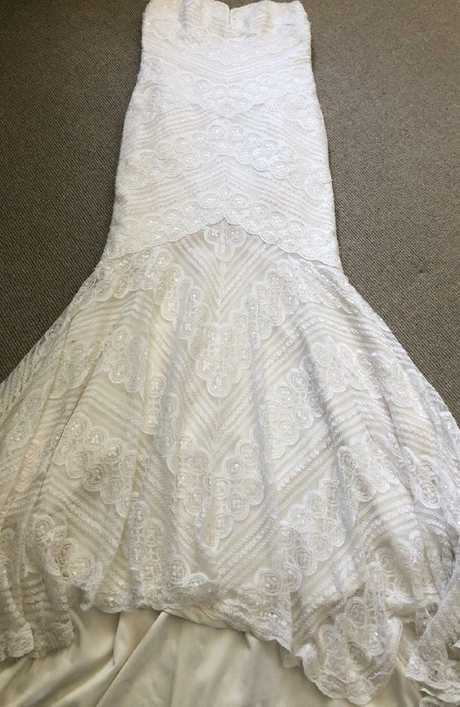 "All the tan has come off the inside and the lace at the bottom, is white again. 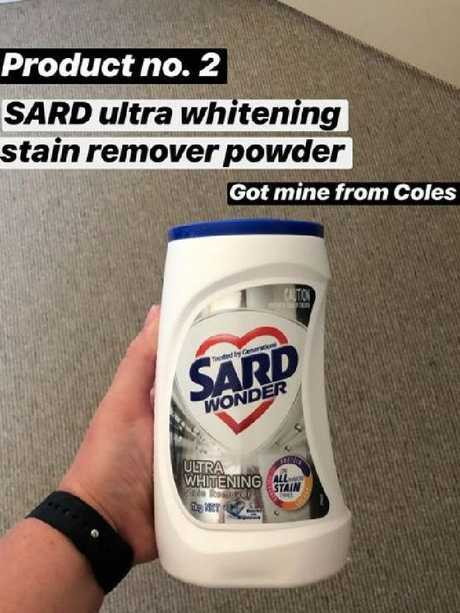 "It's 100 per cent white again." At this stage, Kate then emptied the bath and filled it with clean water to repeat the steps again for a second time. "It's come up so nicely. The silk is so white now, beautiful," she explained, revealing she was moving the water-soaked dress outside to an airdryer on her balcony. However, she made sure it wasn't in direct sunlight as that could affect the colour. Once dry - which took several days because there's so much material - she removed the remaining stubborn grass with tweezers, revealing that was the most frustrating part of the process. After, she was thrilled with the result. 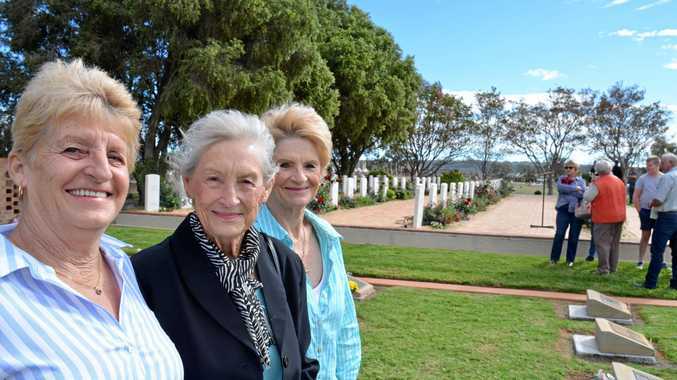 "Everything completely lifted, it was amazing," she told news.com.au. Kate - a successful body positive ambassador - said people warned her against the bold hack, but she decided to give it a shot anyway. 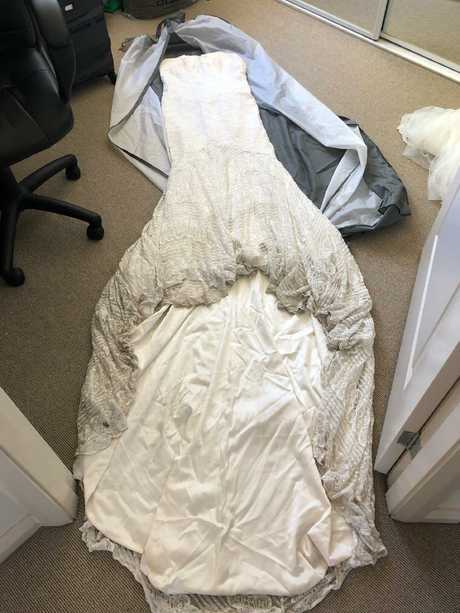 Would you take a risk like this with your precious wedding gown? Or do you agree that the wedding industry gets away with overcharging people? Let us know your thoughts below.